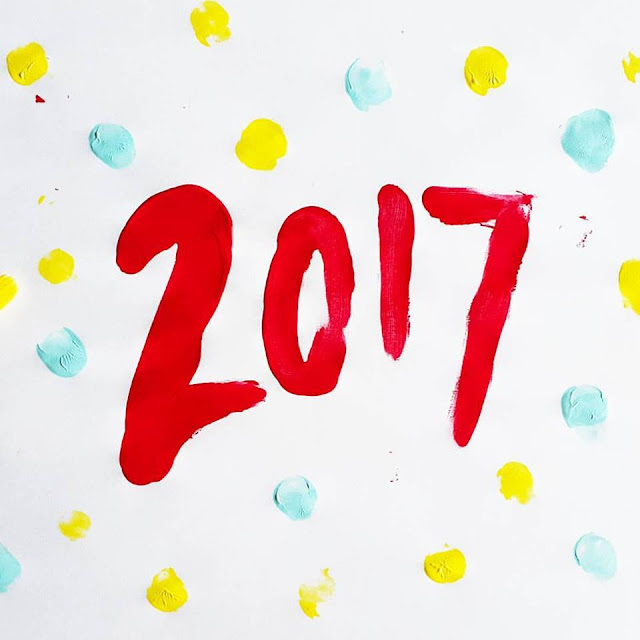 Happy New Year 2017! Take a Look at Our 2016 Best Nine! While we took a step into year 2017, I am sure most of you have already made a list of your new year resolution. 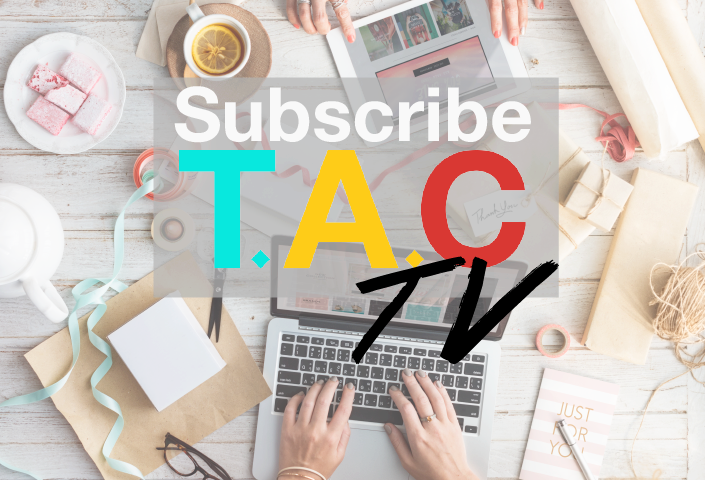 Everyone wants to try and do something different each year, or live life to the fullest with hope that, that one list of #lifegoals will be able to give you a good a head start. New Year Eve's can be a pretty roller coaster experience: some people chose to be with their loved ones, some alone. Some partied young and free with their friends, some reminisced moments of the last couple of months before countdown just like it was yesterday. Memorable moments, most of us just want to cherish those memories as much as we can. 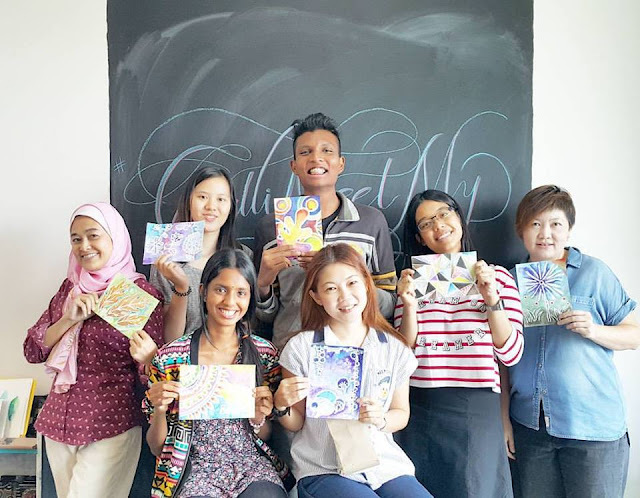 As for us at The Artsy Craftsy, we had quite an interesting end year juggling with workshops, art jamming sessions and Christmas preparations. Since everyone was doing the whole '2016BestNine' #2016bestnine Instagram thing, I figured, why not do the blog version instead. I am more than happy to share with you our best moments in 2016! Let's take a quick step back into Year 2016! 1. 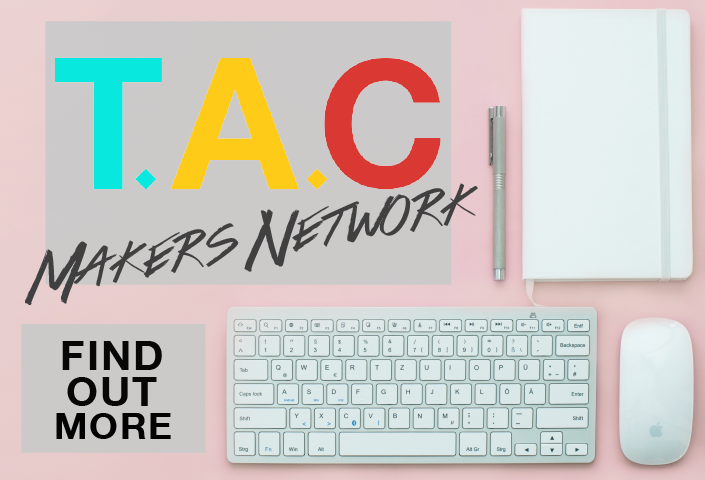 Turned Blog into a Business! 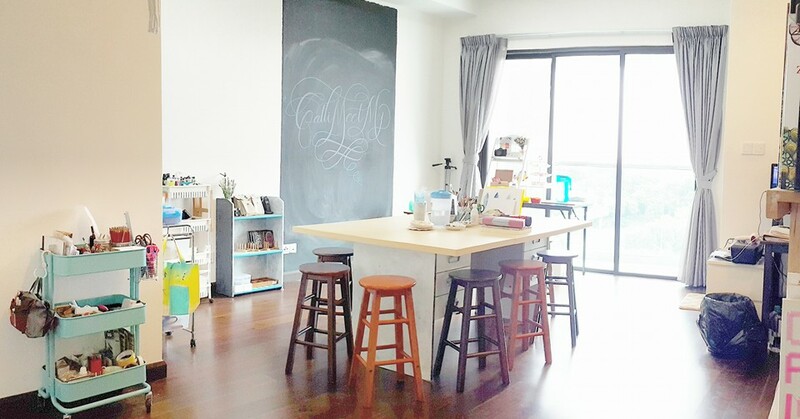 We expanded to a studio mid last year. It was a very challenging time at first, trying to settle in and setting up the space. We struggled with getting the word out there at first, but thanks to your support and the community, here we are still offering workshops and making magic in 2017. 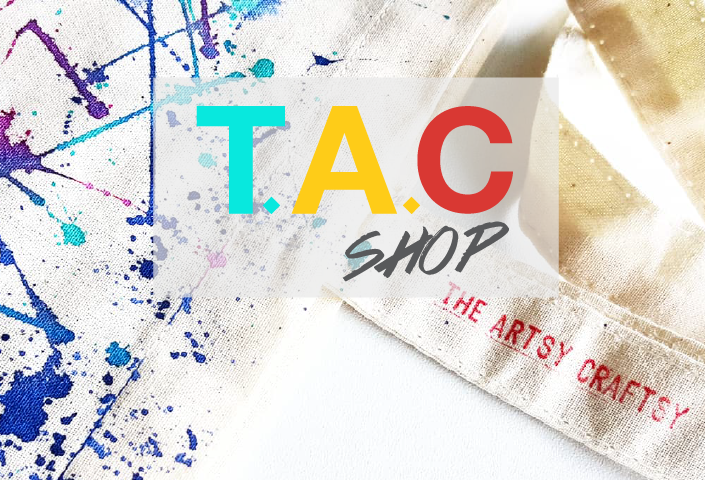 Our expansion led The Artsy Craftsy to work with some arts and crafts-related brands. 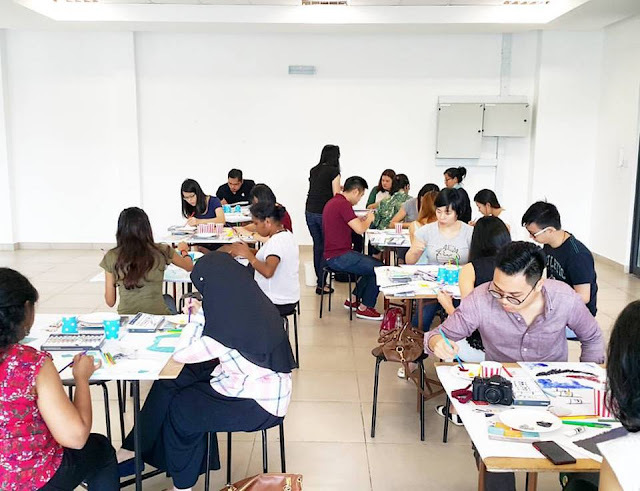 In 2016 itself, we had a chance to work with brands such as Etsy, Pelikan Malaysia, Shoppertise / Pocketbook, and even Paslo, a Malaysian online marketplace. I once wrote on Instagram that there is a difference between success and being successful. To me, success means, being able to touch lives and bring balance or create a shift in a person's life through art, even if you crossed path just for one day. To connect with your community is important, and I am blessed to be able to meet some amazing people during The Artsy Craftsy workshops. It took a lot of self-motivation to start something new and go all the way with it, and I am glad I did it! 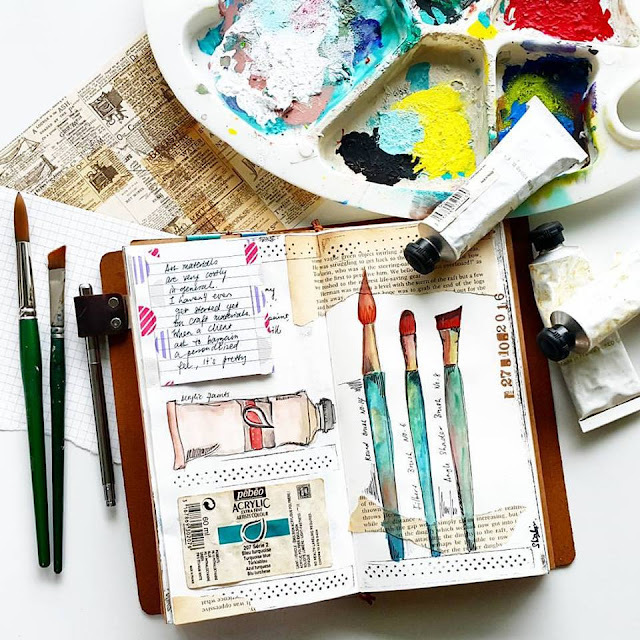 I have always loved and enjoyed art journaling. People have also asked me how can they get started, which was cool because that prompted me to develop my own 101 art journaling class. Fabric painting isn't very popular in Malaysia. Only a small percentage of hobbyist in the community practice fabric painting. It took a lot of courage to bring back something that I was passionate about years ago, but buried away over the years. Nonetheless, I am all geared up to bring fabric painting to the next level. 6. Developed a NEW art journaling class! 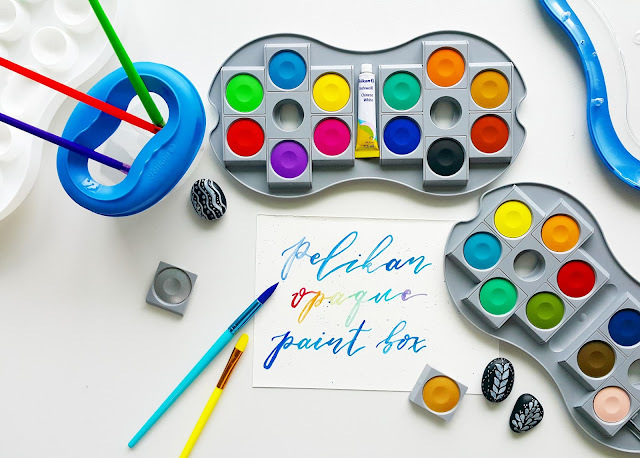 One of my students from my creative art journaling 101 class inspired me to expand my journaling series, and in just 2 weeks, I developed a new class called Art Journaling with Watercolour. 2016 has been pretty fun; The Artsy Craftsy got a bunch of features on TV and print. 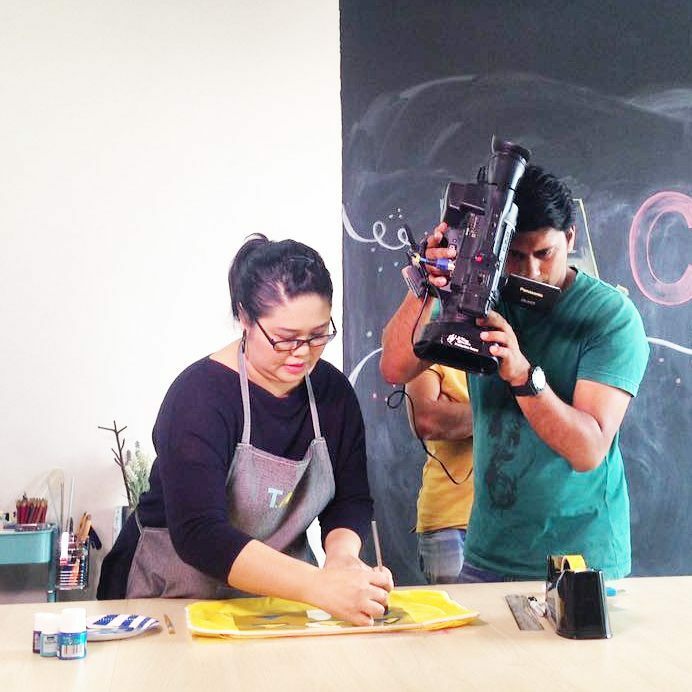 I was interviewed on a talk show on ASTRO and was offered to have my own craft segment too. 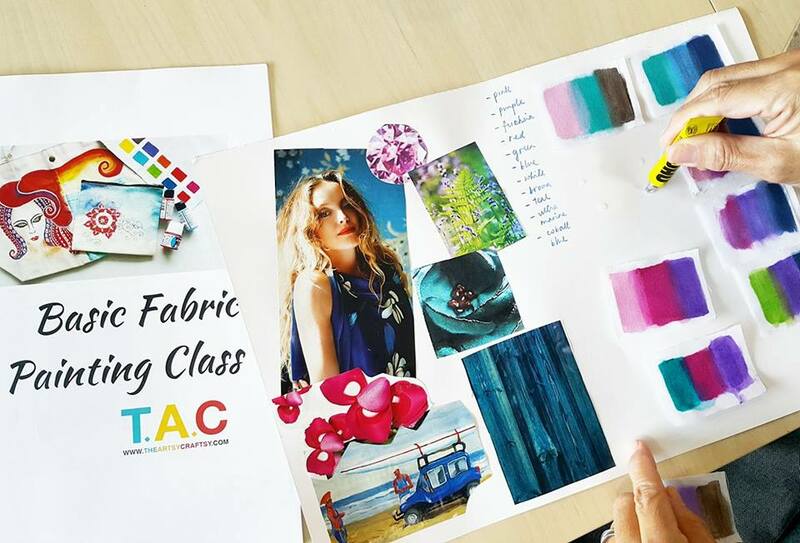 And earlier in the year, The Artsy Craftsy was featured on MalayMail Online, Harper's Bazaar Malaysia, CLEO Malaysia Magazine and ExpatGo. 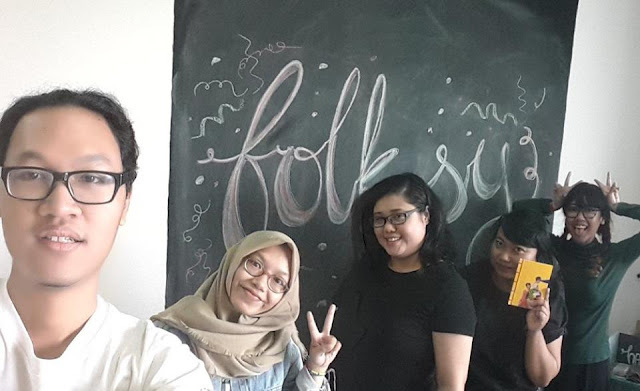 Early December, we welcomed Folksy Magazine from Yogyakarta, Indonesia, and hosted a book binding collage workshop conducted by their art director, Ache Bong. Founder of Folksy, Lucia Berta and I were corresponding for weeks before we finalized everything. We were so happy when we finally met! December got even better when we had the chance to conduct an expressive art jam session for HSBC Bank Berhad. It was a big group of 30 people, and it was fun watching corporate people unleash their inner child. 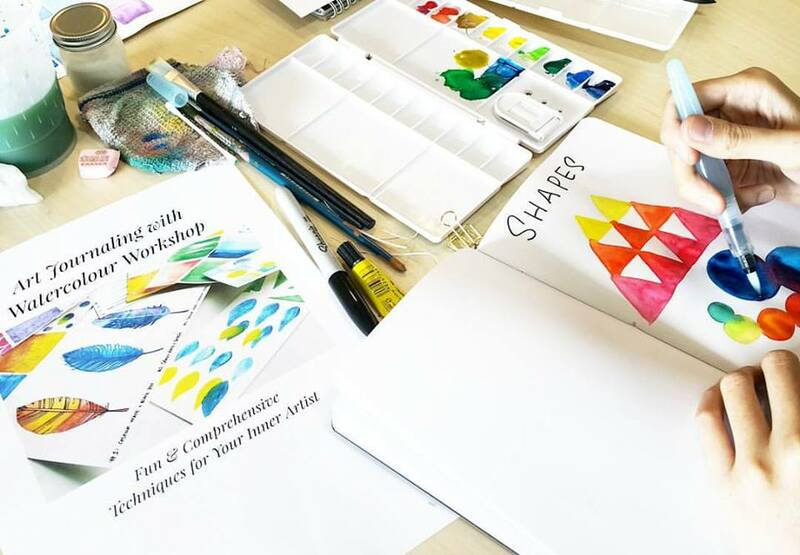 Oh and I also included a guided creative visualization/meditation session too with the participants before they start painting. 2017 will be even better as I aim for more opportunities and publicity. However, part of my personal new year resolution would be to try and travel more, less on the phone (that means social media too!) and make more art. Not to forget I have a big wedding to prepare too! That's right, I am tying the knot this year. What have you got planned for your new year? I am sure you are just as excited as I am.